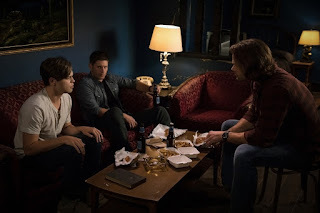 Supernatural 13x02 "The Rising Son"
After last week's premiere, it's time to get down and dirty into the season. But really, this felt mostly like a continuation of the premiere episode. 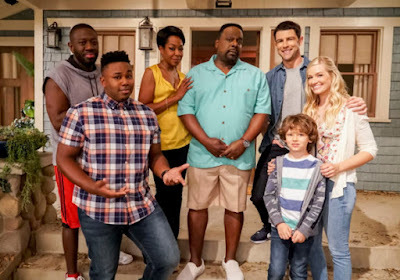 This season definitely feels like it will be more serialized compared to last season, though it's not clear where the season as a whole is going, because some of this Jack stuff could be resolved by mid-season. At least, it should be, so it's not all dragged out like they usually do. Which means that's probably what will happen! Anywayzzzz onto the actual episode at hand. The boys are taking Jack back to the bunker, but have to stop for the night to get some rest. Because, you know, Dean doesn't want to allow Sam to drive. That's just his deal. While there, the prophet Donatello shows up, having felt a disturbance in the force, as it were. He felt the presence of Jack in the world and was drawn to him. Meanwhile, the remains of Crowley's minions are wondering what to do next, but luckily for them, they get some direction pretty quick from the last of the four princes of hell, Asmodeus. He wants to find Lucifer's on in order to protect him for when his father returns. You know, the usual. He also promptly kills off all of the demons who weren't loyal to ole Luci. 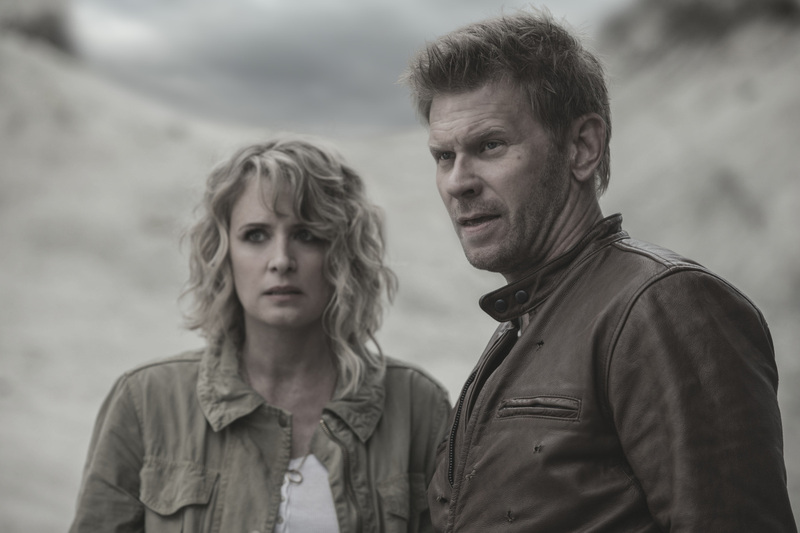 And meanwhile meanwhile, Lucifer and Mary are hanging out in apocalypse world, trying to figure out how to get back. Sort of. Mostly they're just walking around with Lucifer saying he needs Mary. They encounter some angels who Lucifer promptly kills, then who shows up but the archangel Michael! In this world, Michael killed his Lucifer, but apparently now Michael decides he needs this Lucifer for something? Ohhhkay then, just a reason for him not to kill him. Okay! Back at the hotel, the Winchesters are having a disagreement about what to do about Jack. Sam thinks they can teach him to be good, while Dean thinks he's destined to be bad. You know, the whole nature vs. nurture debate. It gets to be a pretty heated fight, which causes Jack to teleport out of there. He ends up staying the night in Donatello's room instead, and long story short, Asmodeus makes himself look like Donatello and whisks Jack away. You see, he wants Jack to let loose these things called shadim or something? Basically some bad hell monsters that even Lucifer doesn't want unleashed. Since he's got himself looking like Donatello, who Jack knows to be a prophet for God, Jack doesn't know better than to listen to him about trying to open the hell gate thingamajig. Luckily, Sam and Dean show up just in time to distract him. Asmodeus reveals himself and starts demon choking the boys. Since they're his friends, Jack gets angry and could probably smite Asmodeus, but the big A teleports himself out of there before that can happen. The boys manage to finally get Jack to the bunker, where he is presumably safe from demons and angels finding him. Jack is concerned that Dean might be right about him, so of course Dean tells him that if he IS right about being evil, he'll, you know, be the one who does him in. Because that's reassurring! - I like the actor they have playing Asmodeus. He has a certain gravitas without being overly dramatic in his acting. I'm sure he'll be killed at some point this season, but oh well. - I'll be honest, I had no recollection of who Donatello was, so it was a good thing he said something like oh I have no soul because of Amara. He seems normal compared to the other soulless people they've shown, though, which is kind of strange but then they're not always the best as continuity in that way. - What could Michael want Lucifer for, and do we care? Asmodeus: There's a new sheriff in town. Mary: You can't possibly care about raising a child. Lucifer: You have no idea what I care about. Sam: Dude, you were hallucinating sheep on the road. You need a few hours. Sam: Jack's scared to death of who he is. He's scared of you. Dean: Housekeeping is not gonna like this. Lucifer: Okay, who are you and what spaghetti western coughed you up?